Councilman Brad Winter is serving his fourth term representing District 4 and is the longest serving seated councilor. Councilor Winter was City Council President in 2001, 2002, 2005, and 2008. 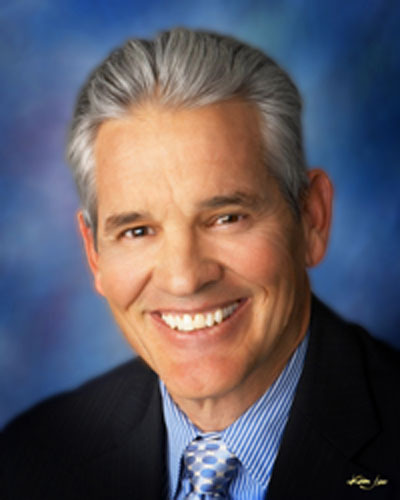 Following a 22-year career with Albuquerque Public Schools, Dr. Brad Winter was named Interim Superintendent by the Albuquerque Public Schools Board of Education in August 2014. After the district completed their search for a permanent Superintendent, Dr. Winter handed over the reins and retired from an overall rewarding and successful career with APS on June 17, 2015. He received his Bachelors at the University of Oklahoma, his Masters at the University of New Mexico, and his Doctorate of Education at the University of New Mexico. While at the University of Oklahoma, Brad was an All-American pole vaulter. He still competes in pole vaulting, and won his age division at both the local and national level competitions. Councilor Winter is also an avid fly fisherman. He is married to Nann Winter and they have seven children.